On average, cedar lap siding prices range from $3.50 to $6.50 per foot. This price is for both the siding and some form of professional installation. Cedar siding is relatively easy to install and is a beautiful cladding option that lasts for 15-20 years. For additional information, refer to our page on cedar siding. Entry Level Price: $2.50 – $3.50 per sq. ft. Homeowners can expect to pay $250 to $350 per square for the material only. Mid To High End Cedar Lap Siding Costs: $3.50 – $4.50 per sq. ft. Homeowners can expect to pay $350 to $450 per square for the material only. Installation Pricing: $1.00 – $2.00 per sq. ft. Homeowners can expect to pay $1 to $2.00 each square foot for the install portion of the project. This is on the lower end of the installation pricing and is comparable to vinyl siding. The material is not very heavy and can be nailed onto the side of a home without too many issues. Total On Entry/Mid Range Pricing: $3.50 – $5.00 per sq. ft. 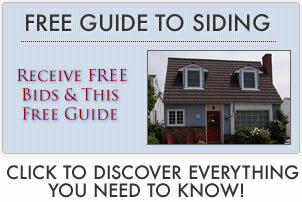 Homeowners can expect to pay $350 to $500 for every square of siding they need for their home. Total For Mid To High End Pricing: $5.00 – $6.50 per sq. ft. Homeowners can expect to pay $500 to $650 for every square of siding they need for their home.